Engr. 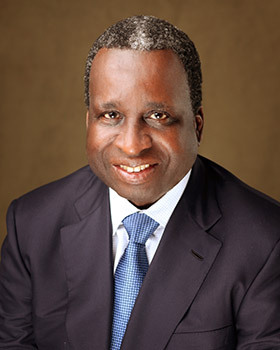 Godwin Omene is a Director of ARCO Group Plc. He holds a First Class Honours B.Sc Degree (Mining Engineering) from Imperial College of Science and Technology London and a Post Graduate Diploma in Petroleum Reservoir Engineering) with Distinction from the same College. Engr. Omene served in the following capacities in Shell Petroleum Development Company in Nigeria: Wellsite Petroleum Engineer, Shell BP Port-Harcourt; Wellsite Petroleum Engineering Trainer, Western Division, Delta State; Operations Engineer Western Division, Warri; Senior Operations Engineer, Western Division, Warri; Production Technologist, Eastern Division; Port Harcourt, Senior Production Technologist, Lagos; Head Petroleum Engineering department, Eastern Division, Port Harcourt; Lagos Operations and Third party Affairs Manager and LNG Coordinator, Lagos State; Operations Manager, Western Division, Warri; Divisional Manager, Western Division, Warri; General Manager, Operations, Lagos; Deputy Managing Director and General Manager, Lagos. Subsequent to his retirement from Shell Nigeria, Engr. Omene was appointed the pioneer Managing Director/CEO of Niger Delta Development Commission (NDDC), the Federal Government intervention Agency in the Niger Delta. Engr Omene is currently the Chairman/CEO of Gladson Petrogas Limited, an energy consulting company he founded after retirement. He is a recipient of the Nigerian National Order of Productivity (NNOP) and a member of various professional bodies with wide training and other appointments too numerous to mention.